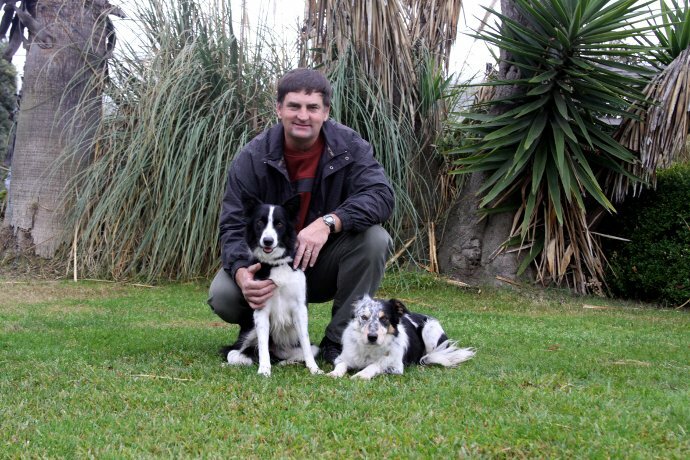 Jim became involved in agility in 1992 when he began training his young Border Collie, Mick. After starting agility with the Boeing Dog and Gun Club, Jim joined Rainier Agility Team in 1993, where he instructed as well as trained. By the end of 1994 Jim had teamed up with Nancy Gyes and left Washington state for sunny San Jose, California. In addition to running Power Paws Agility with Nancy, Jim is on the board of directors of the United States Dog Agility Association (USDAA), and is a past board member of the Bay Team Agility Club. Jim is also a member of the SMART, TRACS, and VAST agility clubs. Jim and his dogs excel in all the variety of agility classes, whether it be gamblers, jumpers, snooker, or standard. His students at Power Paws know him for his irrepressible sense of humor, making classes there entertaining as well as informative. Jim is well known for his Gambler and Snooker seminars and has helped countless competitors achieve success in those classes.